Safe and Courteous Airport Shuttle. Providing 9 passenger vans, Limousines, Towncars, Mini-Coach and full size Buses. From flying out to returning home, Karmel Shuttle offers the best Los Angeles airport transportation to Los Angeles International Airport (LAX), John Wayne Airport (SNA) in Orange County, and Long Beach Airport (LGB). Our professional drivers, well maintained late-model vans, limousines and other luxury vehicles, and pre-booked reservations help ensure that we make your experience traveling in Los Angeles, Orange County and Long Beach comfortable and hassle-free. Don't fight the traffic and inconvenience of airport parking at LAX, SNA, or LGB: Travel in style & comfort with Karmel Shuttle & Southern California Coach. Experience limited number of stops with our "shared ride" service. Unlike other shuttle companies, who provide "shared ride service", they make up to 3-5 stops along the way. Karmel Shuttle's "shared ride service" only stops a maximum of one additional time for residential and business service and a maximum of three stops for Hotel transfers. Our goal is to get you to or from your destination quickly...not spend hours in a van! Pay a little more & go with a private van or sedan to/from the airports. If you have 5 or more passengers we strongly recommend choosing our private van service. Or, upgrade to private sedan / towncar service. This is the ideal service for Corporate and savvy travelers. Did you know that Karmel Shuttle also provides transportation to San Pedro Cruise Terminal, Catalina Express Terminals, and Long Beach Cruise Terminal? Plus, we also offer EXTREME sightseeing tours of Los Angeles and other famous Southern California attractions. That's just one of the reasons why we're Southern California's BEST transportation service! Do you have an expanding workforce outgrowing your parking lot. Ease your employee parking issues. We provide contract shuttles that provide looping shuttle services and fixed route transportation between two or more work sites or off-site parking lots. Providing all your corporate transportation needs! Whether you’re interested in baseball, football, hockey, or golf, our sports transportation car services in Los Angeles can get you to the game on time. Reserve a charter sedan, SUV, shuttle, or coach bus for you or your entire group. Karmel provides transportation Staples Center, LA Memorial Coliseum, Dodger Stadium, Galen Center, The Forum, Pauley Pavilion, and more. We can also provide a ride to your next concert in L.A. Concert transportation can make any concert, play, opera, or rock show, one to remember. As an overseas visitor to LA l was introduced to the Karmel Airport shuttle company by the AAA. Used your services 4 times in January, and each time l was delighted with the service.The drivers were always on time, professional, very polite, helpful and clean even at 4.45am. l wasn't allowed to touch my luggage. I look forward to again Karmel Shuttle for all my business and leisure travel. 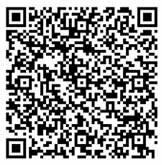 You are easy to use, and for the price that was paid it was such a good value..( l would have paid twice as much ) Thanks again"
SCAN this code with your Phone and instantly store Karmel Shuttle's Contact information in your contacts.